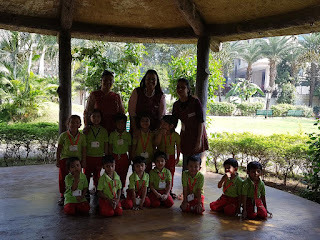 Field trips are valuable learning experience for kids, wherein they get an opportunity to encounter and explore things. 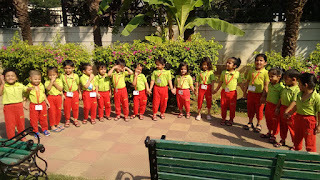 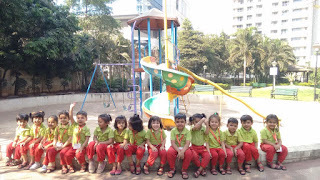 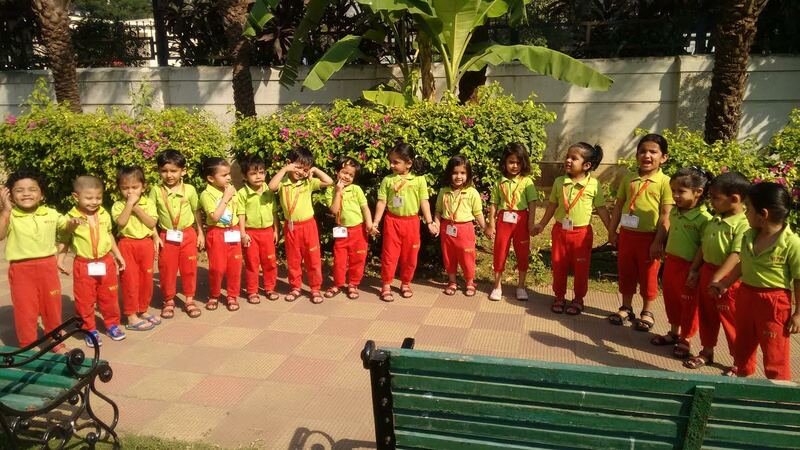 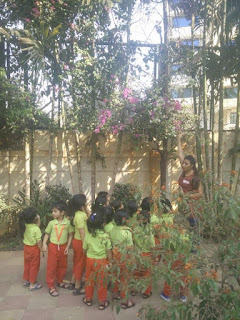 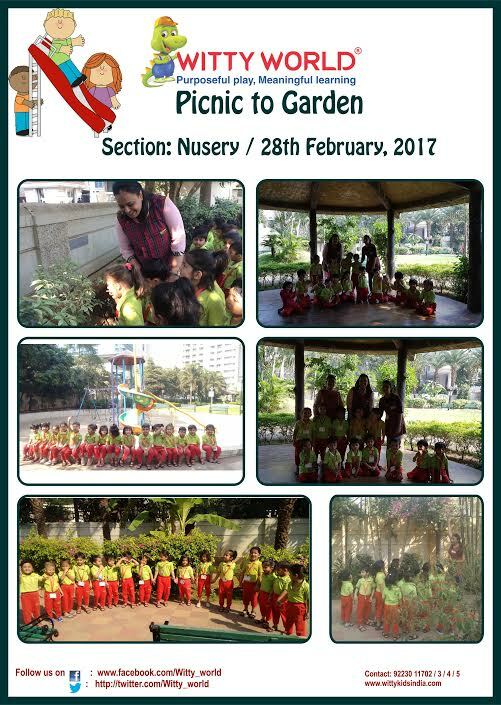 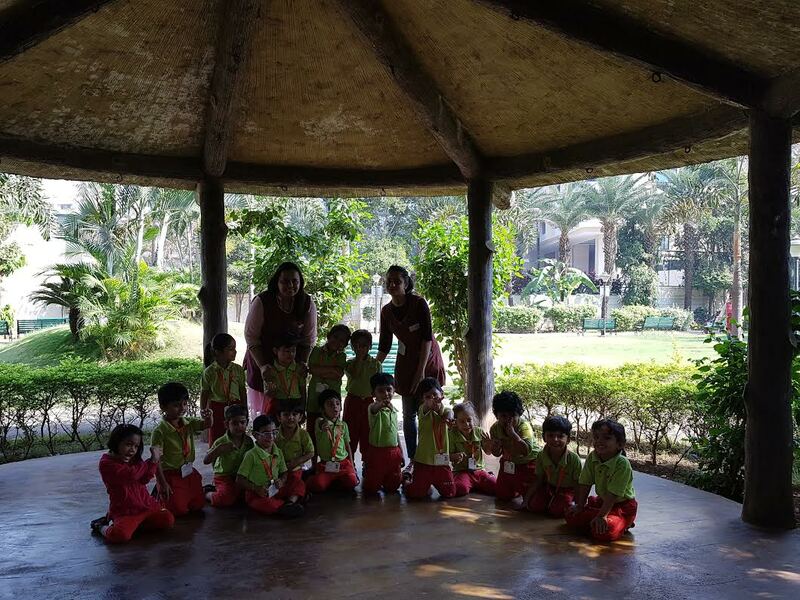 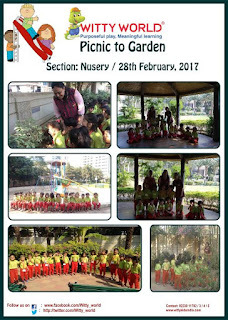 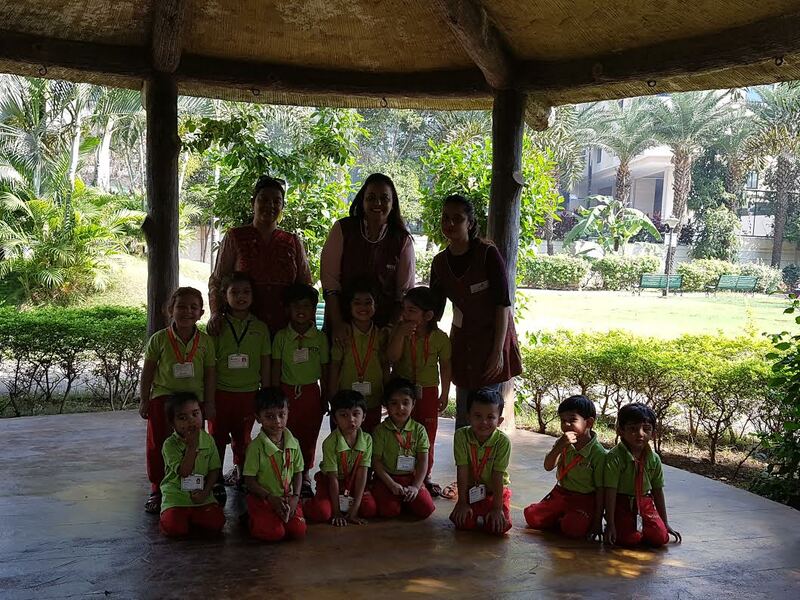 So, to give our children a hands on experience, tiny tots of Nursery section at Witty World were taken to a ‘Garden’ on Tuesday, 28th February 2017. 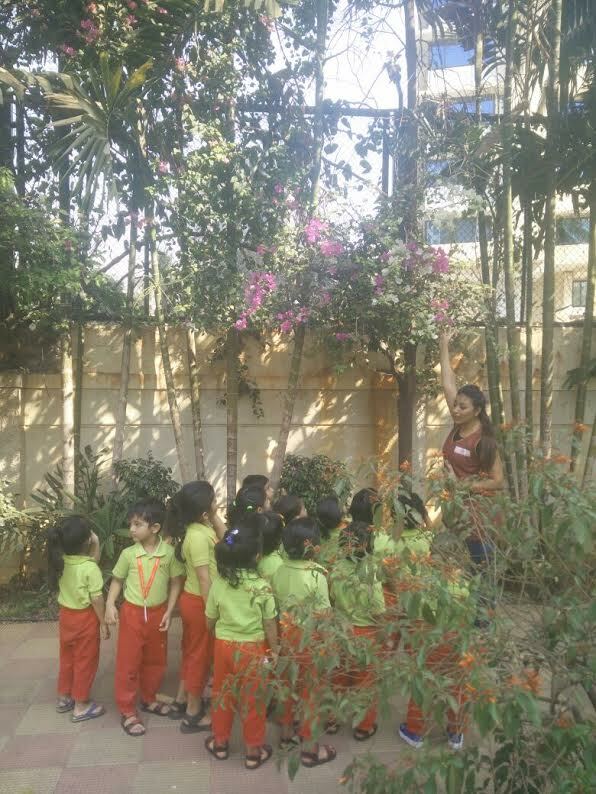 They were excited to see different kinds of flowers, insects and also saw trees with different coloured leaves on it. 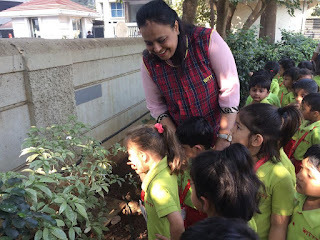 It was amazing to see them identify and name the flowers they knew. Children were very happy to experience nature so closely along with their friends and their teachers.